At a secret location in Chandigarh, a special meeting is taking place. 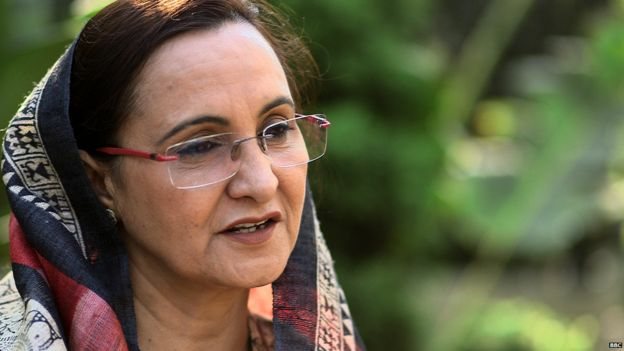 Women from all over Punjab have travelled to the capital to seek help from Amanjot Kaur Ramoowalia - the head of a charity for women abandoned by their foreign-national husbands. Ms Ramoowalia estimates there are more than 15,000 women across the state, who are in this situation. She sees around 15 abandoned wives a month and says the numbers are increasing. "I see a lot of beautiful, educated women. They are in a mess," she said. "They are ashamed to live in a society as an abandoned wife. I believe this is a big violation of human rights." Their husbands come from all over the world, but mainly countries with a large South Asian diaspora, like the UK, the US and Canada. The women agree to the marriages in the hope of embarking on a better life abroad. But for many of their grooms, the motivation is money rather than love. A third of the men are believed to be from Britain. Ms. Ramoowalia said: "He (the groom) comes here and he asks for a massive dowry. "They marry. He takes the money and enjoys the honeymoon. Then he never comes back." In India, it is customary for the bride's family to give money or gifts to the groom, despite the practice being outlawed in 1961. The dowries often amount to tens of thousands of pounds. One of the women at the secret meeting has travelled from a rural village on the outskirts of Punjab. Kamaljit Kaur married a man from Italy three years ago. But just months after their wedding, he left her. She was pregnant with his child at the time. "Soon after we got married…he started complaining about the dowry. He said my family isn't happy with you." Kamaljit's husband eventually left the family home and returned to Italy. She hasn't seen him since. Their baby daughter was born with serious health problems - but her in-laws refused to help. "They said the baby is born disabled. We don't want anything to do with her. Our relations are over." Sadly, Kamaljit's baby died months later. Her husband did not contact her. Divorcing a foreign national in India is an extremely complex and expensive process. Often the women's families are also adversely affected. Darshan's daughter got married back in 1997, but they're still waiting for closure. "He didn't say anything until he was leaving. He said I'm married abroad. I have a son and a daughter so I can't take your daughter. Do whatever you want. "We took legal action. I've been trapped in this mess for 16 years." Daljit Kaur is a lawyer for the Non-Resident Indian Commission of Punjab, which deals with legal cases against foreign nationals. She said: "Our legal system is a bit slow and it will take years to get a decision. "There are a number of difficulties… and moreover these girls don't have the money to pay for the legal system." Ms. Ramoowalia says abandonment is like "living in chains"
Back under the baking sun of Chandigarh, Amonjot Kaur Ramoowalia is giving advice to dozens of women in this exact situation. But the assistance she can offer is limited. Whilst abandonment is considered a crime in India, once a foreign national leaves the jurisdiction it's extremely difficult to prosecute him. She says some of the stories she hears are utterly appalling. "One girl got married. He raped her in a systematic way and left her with a child. There's no strong law you can follow. "She had to live the rest of her life, with the shame of being an abandoned wife." Ms. Ramoowalia says other countries should be aware of the actions of their citizens and co-operate with the Indian government in holding them accountable. In the meantime, the abandoned wives of India face a life in limbo.